Pear cut sapphires and round cut diamonds make this preset engagement ring exceptional. 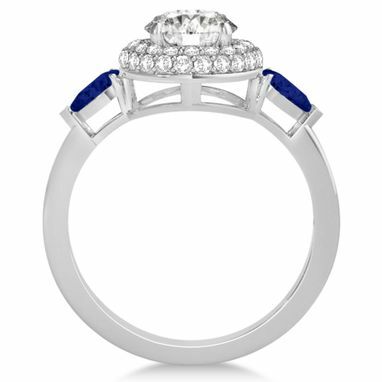 Set in 14k White Gold with a two-tier halo of pave diamonds that surround the brilliant prong set center diamond. 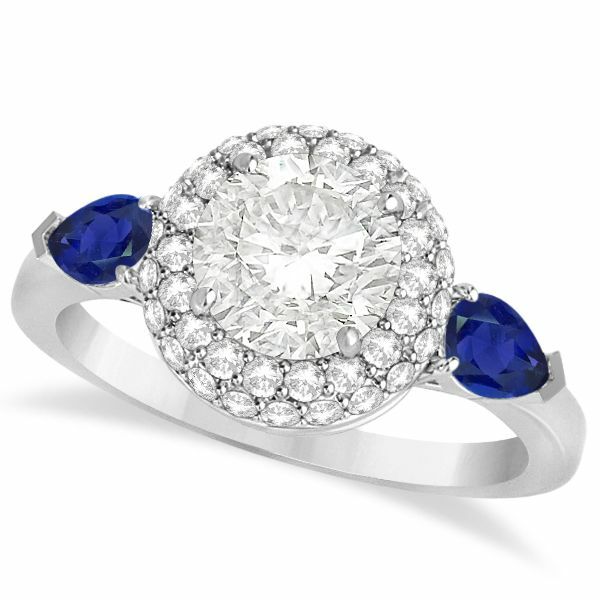 Sapphire gemstones on either side add a touch a color and a lot of beauty. Total gemstone weight is 0.35 carats, while total diamond weight is 1.35 carats. This three stone halo engagement ring is available in different metal types and with other gemstone accents.